Because of Coriolis counterclockwise currents operate in large lakes like Superior. The Keweenaw Current moves to the Southwest across the Gay shoreline, carrying stamp sand with it. 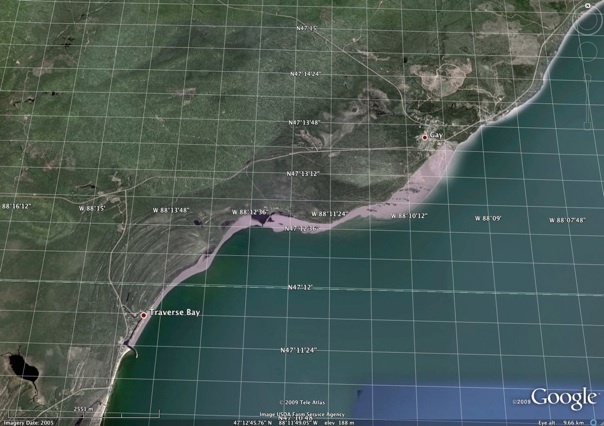 The fan of tailings in Lake Superior is steadily migrating along the shore and has reached the breakwater at Traverse Bay about 4 miles SW of the stamp mill. Homes that were on the beach are now far away from it.